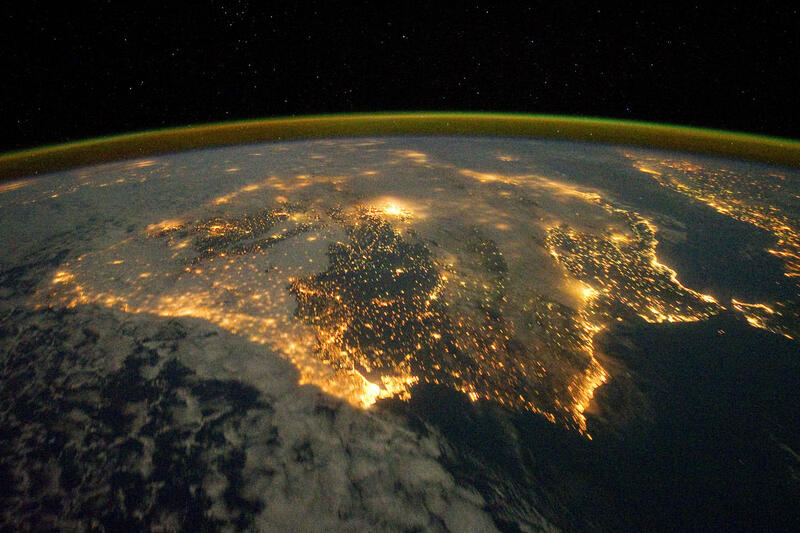 The lights of Spain and Portugal as seen from the International Space Station. So extreme is humankind’s effect on our home planet that scientists have begun to propose that we are entering into a new geologic era: the Anthropocene. 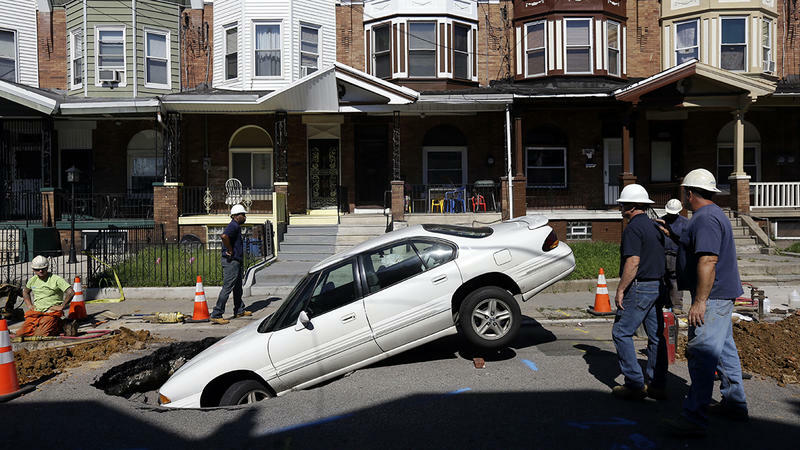 “In technical terms, the Anthropocene refers to … an era where literally the sediments that are laid down (and) become the rock of a million years in the future bear the signature of human activities,” Tonsor said. While the notion of the Anthropocene has not been officially adopted as part of the Geologic Time Scale by the International Union of Geologic Scientists, it is currently under serious consideration. It is also the inspiration for a new performance series hosted by the Carnegie Museums of Pittsburgh. “It has always seemed to us that we have an incredible potential to bring the perspectives of the arts and the sciences together to deliver programming to the public that talks about things they really care about from both the artistic and the scientific perspective,” said Jo Ellen Parker, president of the museums. The series, titled “Strange Times: Earth in the Age of the Human,” is the first of what Parker said she hopes will become an annual endeavor bringing together all four museums: the Carnegie Museums of Natural History, the Carnegie Science Center and the Andy Warhol Museum. Parker said the 12-part series will touch on questions related to climate change, energy policy, environmental policy and other topics. “These are all very pressing topics that the public is engaged in thinking about from a number of perspectives, so it seemed very timely,” she said. The first event on Jan. 10, titled “Tomorrow’s Parties,” brings to Pittsburgh British theater collective Forced Entertainment. The “playful, poignant” performance imagines hypothetical futures – some utopian, some dystopian. Parker said she is particularly looking forward to the final event on April 20, a talk with novelist Annie Proulx, which is co-hosted by the Pittsburgh Arts and Lecture Series. Proulx is the Pulitzer Prize-winning author of “The Shipping News” and “Brokeback Mountain.” Her new book, “Barkskins,” explores the deforestation of the planet. Parker said she hopes audiences leave each performance feeling that “something in their real, current life has been illuminated.” Tonsor added that it is natural to interrogate problems as immense as climate change from both artistic and scientific perspectives. “Strange Times: Earth in the Age of the Human” runs from Jan. 10 to April 20 at various venues across Pittsburgh. 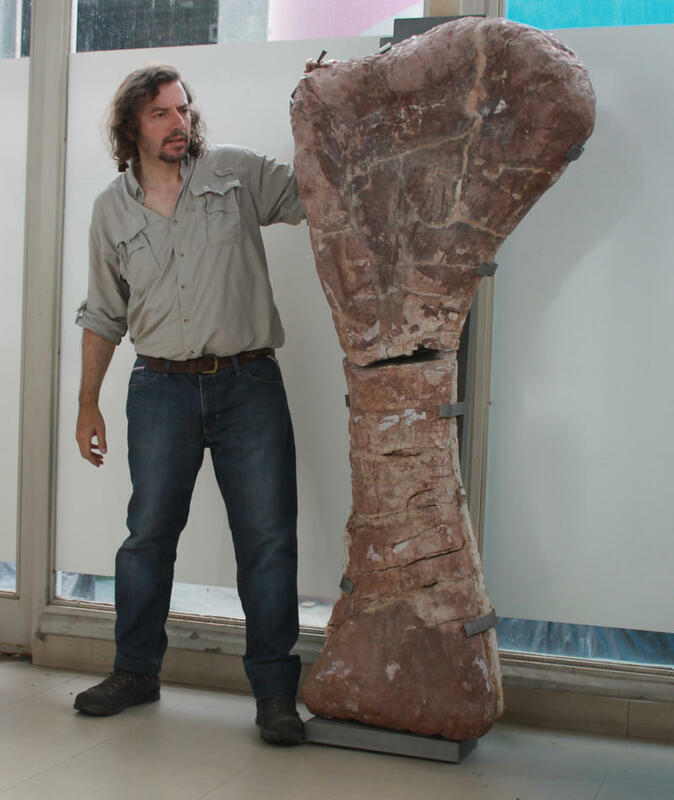 Paleontologists have unearthed the most well-intact titanosaur skull ever found. The herbivore was 40-to-50 feet long and weighed twice that of an average zoo elephant. After presenting their findings in Pittsburgh, Dr. Rubén D. F. Martínez of the Universidad Nacional de la Patagonia San Juan Bosco; Dr. Lawrence Witmer of Ohio State University and Matt Lamanna of the Carnegie Museum of Natural History published their research in the scientific journal PLOS ONE. A new species of a very old dinosaur was recently discovered with help from a Carnegie Museum of Natural History paleontologist. Believed to be 85 million years old, Notocolossus was likely 82 to 92 feet in length and weighed more than 132,000 pounds -- as much as nine to 13 elephants and about three-times the weight of "Dippy," the Diplodocus dinosaur outside of the museum. Bernardo González Riga of the Universidad Nacional de Cuyo led the study and published a report on his findings this week. A previously unknown silkscreen believed to be printed by Andy Warhol will go up for auction on Monday at Col. Kirk’s Auction Gallery in Columbia County. The piece, entitled “Of Thee I Sing—Nico,” isn’t signed by the pop art icon, but auction gallery General Manager Josh Williams said the silkscreen can be identified as an original Warhol because of the unique paper it was printed on.